Caffeine certainly has a weight of evidence to support its claim to enhance athletic performance. Indeed, it is one of few supplements we can claim with relative confidence as ‘proven’. Carbohydrates, protein, and creatine are others. But even so, this does not mean we should knock it back ad libitum … there are limits to its capacity, as well as potential downsides and doping (yes really!) factors to consider. Stop avoiding running and start working on an elementary movement in life. To help you to get going we are organising a trial run on Sunday 28th of April. The run will start and end at the box taking you around the countryside. When I first started CrossFit I had only seen a barbell a handful of times in my life, like a lot of people, I was intimidated by the bars, plates and weight rooms in commercial gyms – so I didn’t go in them. If you have been wishing for more conditioning stuff well here it is. We are near the end of Building Stronger Bodies cycle and you will have noticed that the workouts are transitioning into the next phase of Building Fitter Bodies. We offer students a discount this Easter Break! As you all know we are passionate about functional fitness and inspiring everyone to develop a love for fitness. The coaching team at CHALKBOX is thrilled to have the opportunity to support Josh in his fitness journey as an adaptive athlete. Josh welcome to CHALKBOX and we are ready to help you to achieve your fitness goals!!!! When CrossFit training is combined with smart coaching it is extremely effective for injury rehabilitation and prevention. It has helped many people with all sorts of injuries. From fractured wrists, disc herniation, shoulder reconstructions, chronic back pain and much more. Part 2: Eating and Competing! ChalkFit is designed to help people work on their aerobic capacity, lose body fat and feel more energetic. It is the hottest thing in CrossFit. Ever heard of the 5 minute method? Ever heard of the 5 minute method? No? 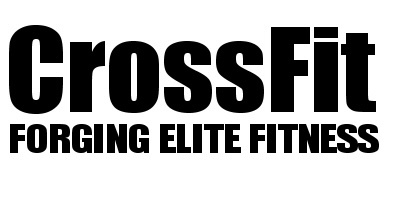 It is the latest freshly researched hottest topic in CrossFit and it promises super gainz. It is a very simple and effective method. 100% results guaranteed. We have partnered up with guys from BuiltUpNorth, CrossFit & Streetwear brand, to create high quality range of garments. How to get better results! Although we try to put mobility in each and every class we teach, a few minutes a day really isn’t enough to achieve substantial mobility results, it’s just enough to get you loosened up for the movements required that day. For those of you with major mobility deficiencies and those of you looking to unlock your true potential, this is a great time to kick back, work on your trouble areas and enjoy some friendly time with your fellow Chalkers. You have your CrossFit training and nutrition down to a fine art. It’s fuelling you to go harder and faster and you have never felt better. You are ready to compete. But the question is, what should you eat on competition day to make sure you perform at the top of your game? !